Impatient for the story? You can read it here! Want to know a little about it first? Read on! You know how sometimes, when you're sitting there watching a series, your mind picks up on a character's gesture, or tone of voice, or a plot situation, and just soars with possibilities? And before you know it, you've imagined a whole new subplot or opened new vistas within the series' world? Isn't that the sign that a series speaks to you? Well, Sekirei (which it appears you can still buy from Amazon) is one of those series that speaks to me. Now, before you ask, let me switch to full disclosure mode. Yes, it's partly because the show is jam-packed with ridiculously beautiful and powerful women like Musubi and Tsukiumi. But more than "just" beautiful and powerful, they're great people! There's no way I wouldn't want to meet them. Musubi and Kusano can't accept the ideas coming from the CEO of MBI -- and neither can Minato. That's the starting point for this fanfic. Capture from the Blu Ray, which is still available (at least for now) from Amazon. The coolness doesn't stop there. Ashika Sakura, the writer, brought a wonderful sensibility and romance to the series. You know how so many harem anime have a clueless main character? Or a main character (often male) that makes you wonder just what in tarnation the others (often female) see in him? Not so with Sekirei. 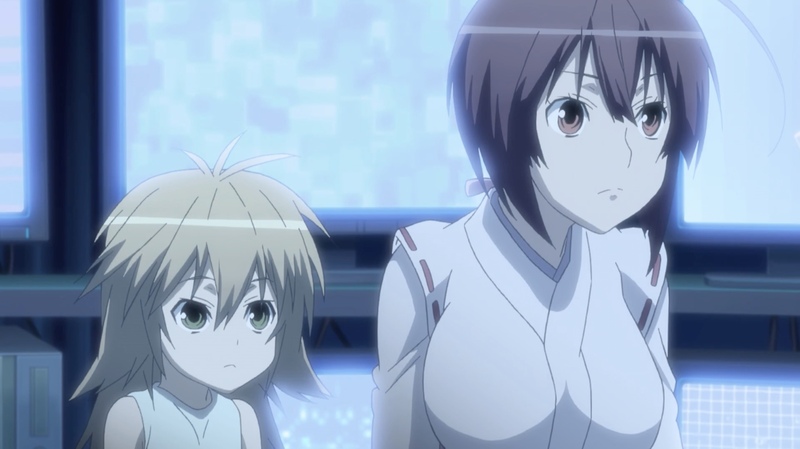 Minato Sahashi attracts the Sekirei he attracts for a specific reason that's core to the series' theme. Matsu (probably my absolute favorite character in the series!) even comes out and says it a couple of times! In part to celebrate Crow's World of Anime's third anniversary, and in part to scratch a creative writing itch that's getting really annoying, I wrote a fanfic for Sekirei and shared it on Archive of Our Own. Let's Talk Anime (soon to be Dokidokon) suggested that site, and I have to say that it seems to be very well run and stable! If you're at all interested in reading or writing fanfic, I'd suggest you check it out. Matsu is a genius, but sometimes she misses little emotional clues from those around her. Capture from the Blu Ray, which is still available from Amazon -- at least for now! My fanfic picks up just after the 2:30 point during Season 2, episode 8 (Kusa's Play). It explores a question I often wondered about during this part of the series: How did Minato not freak out completely? He's this gentle kid, he loves his Sekirei, and he's almost painfully sensitive to their feelings. How did he not run screaming from the room as Matsu explained the Sekirei plan? And why didn't he try to do more? Even make a desparate and hopeless gesture? I try to answer those questions. And I try to shine some light on just how insightful Musubi can be. I'd love to know what you think of it! Feel free to leave your thoughts in the comments! Dies irae Episode 0: A Genesis in Blood and What Just Happened? Black Bullet Episode 6 Review: A Messy Office and She’s Ranked What?!? Sekirei is the show that really hooked me on anime, a rollicking story with great feelings and characters. On rewatches and with some evolution in thinking, I’m not as big a fan of some of the messages and attitudes baked into the concept, but it’s still a fun show to watch. I’d love to know which messages and attitudes have begun to wear thin! Thanks for the feedback on Matsu. Honestly, I’m most comfortable with her, as she’s my favorite character and my image of her is the most complete. It’s interesting — I was less comfortable with Miya, and it seems to have showed in the story! I just read the manga (volume 12, available from Amazon), and it also looks like I was way out of canon! I’ll give it some thought to see if I can write a better interpretation of her. Thanks a lot for taking the time to read it and provide feedback! The main one that bothers me is the virginal aspect of it, the implication that the girls are ‘ruined’ for other people once they get with a man. The second one is the “ownership” and that they are beholden to that first man with no regard to anything else, be it physical or mental abuse, neglect, or any other mistreatment. And finally, the lack of agency and ability to resist shown by the unwinged sekirei when confronted by an ashikabi, with little regard to their wishes. In some ways it’s a good show of women’s empowerment, but in other ways it’s very much “men call all the shots”. I like the show overall, but some things get pretty cringey. Since you brought it up, I find that the virginal aspect is a hard thing to explain, too. I think it’s hard (okay, impossible!) to believe that Seo, Hibiki, and Hikari remained chaste. On the other hand, it’s clear that Benitsubasa never had quality time with her ashikabi — despite her wanting it! 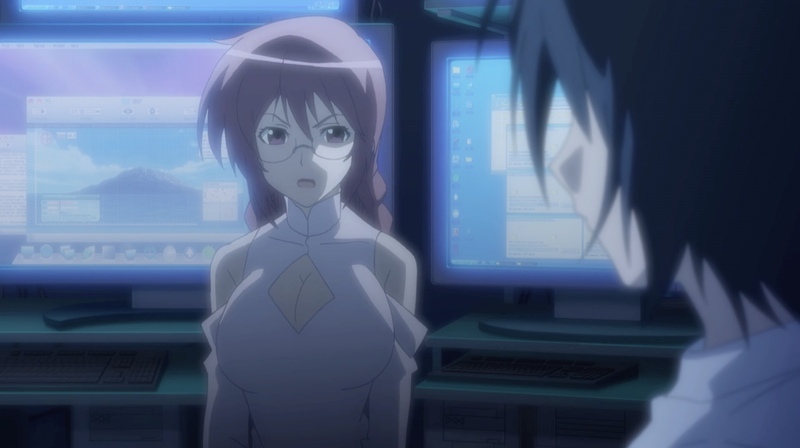 Which state was “normal?” Why did Mia so often intervene when any of the Sekirei tried to get close to Minato? There were women who were ashikabi, too, like Chiho Hidaka and Yukari Sahashi. Yet, the idea of a woman ashikabi didn’t feel well-developed. I never got a sense if there was any real difference between male or female ashikabi. I’m still reading the manga. I’m half way through #12 and have up to #15 in my library. Still wish we’d get a season three! Thanks for giving me so much to think about! I was thinking more of Tsukiumi when it was kind of between Seo and Minato, how Tsukiumi couldn’t resist Seo, even though she loathed him. The female ashikabi thing I thought was a good thing thrown in there, and they half set it up with Homura / Kagari and half with Shiina – Yukari. They ran out of narrative time, and maybe didn’t want to really go into it, about what happened with Homura after Minato told him that he should be who he wants to be. I’d have loved more of the series the way it was, but what I heard was that the manga kind of just devolved into a battle fighting manga, which I would totally not be interested in. I heard that it finished a year-ish ago, so I don’t know what the end was, but I’d kind of like to just get to the end, without having to go through a lot of fighting and “dying”. Yeah, “loathed” is the right word Tsukiumi’s feelings for Seo! I also think “devolved” is the right word if it turns out to be a fighting only manga. There was such huge promise with the idea of setting the little birds free. I still think Minato trying to break the game might have been a good direction to go! Thanks for sharing you thoughts — you gave me a lot to think about!